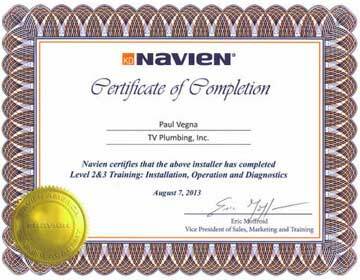 At TV Plumbing, we've dedicated our plumbing company to our customers. We've proudly built our business through building positive relationships with our Los Angeles area customers. After all, they are the number one reason we are the chosen plumbing company in Los Angeles County. 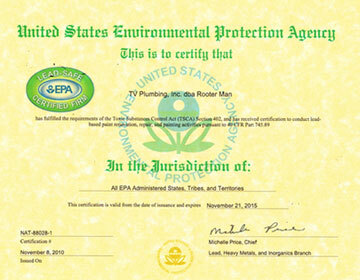 TV Plumbing has been locally owned and operated in Los Angeles since 1982. We have continually provided the most up-to-date technologies and friendliest service to our customers. We specialize in plumbing repairs, diagnostics and drain cleaning. We have the latest equipment and technology to quickly locate and solve your plumbing problems. Our certified and experienced plumbers always take the time to explain what needs to be done before recommending any plumbing repair or installation service. Because we respect your home, our service technicians make sure to leave the area as clean as they found it. TV Plumbing is a fully licensed and insured company, which means that your home and family are protected when you choose us as your Los Angeles plumber!